This indo-western vibe is way to go. 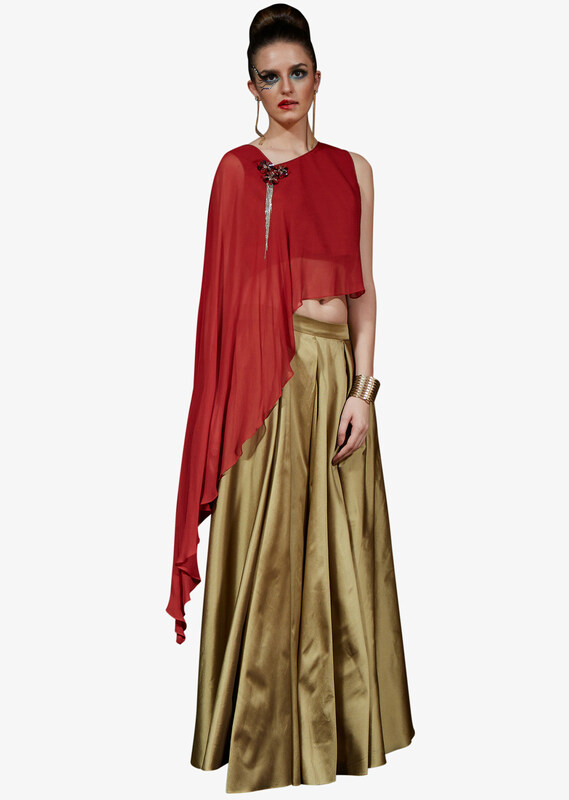 This golden long skirt and red cape top is featured in foil georgette. The top has a attached fancy embroidered tassel at the corner. 95% of our customers feel that the product is as shown on the website.